Most of the time, a regular schedule of cleaning your carpets will make sure no dirt or stains build up over time. It is very easy to clean carpets and rugs whenever you spill most substances, but some may not come out even after you have worked very hard on getting the stain out. And it gets even worse when you have to deal with upholstery or other thick fabrics. The stains caused on these multi-layered materials can be a hassle to clean up correctly. Most of the time you will end up with visible spots where the stain once was with your usual household cleaners alone. So, whenever you encounter a messy spill or stain that is tougher to get out than others, don’t only use your household cleaner. So, like we always recommend when we are giving tips about cleaning, we would first tell you that you need to know your furniture and flooring. What we mean is that you should know what it is made out of and what not to clean it with. Once you know what to avoid when cleaning, you should be able to look at the stain and see what you should use for that particular stain spot. 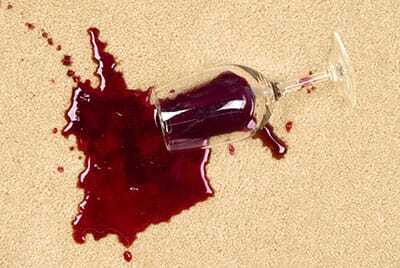 Stains such as wine or red soda will be much harder to remove from your fabrics, so you should take extra care when cleaning them out. Next, once you know what kind of materials your carpet or upholstery is made of, you should have a cleaning product in mind. 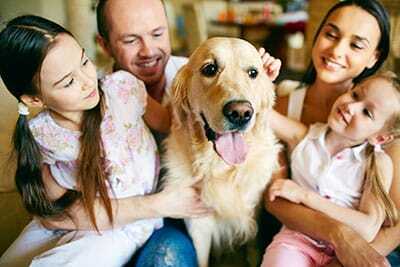 However, if you are cleaning an expensive piece of furniture or delicate carpet, natural cleaning solutions may be the better option to preserve the color and texture of the fabrics. But, if you are just cleaning an everyday carpet, rug, or upholstery that isn’t made of insanely nice fabrics and craftsmanship, then you shouldn’t have to worry about using a chemical based product. 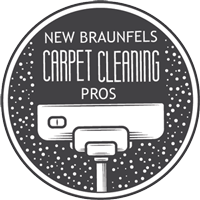 Keeping your carpet looking fresh and clean! Some of the more common natural cleaners are lemon juice, vinegar with water, and the sun. With the lemon juice, you will want to examine the size of the stain and how much juice you should apply to cover it all. Remember, you don’t want to overdo it, because putting more than what is needed can cause damage to your fabrics. You should also be aware of the effects the juice will have on certain materials, so you don’t discolor your fabric. To use vinegar with water, just mix vinegar into some water. We recommend anywhere from one to three tablespoons of vinegar in a tall glass of water for the best results. This mixture will make sure that there isn’t too much vinegar being poured directly onto your fabrics. Like we say with all our tips, know your fabric and the effects of vinegar on it. Lastly, if you are going to use the sun to bleach out certain stains, be careful as to how long you leave it in the sun, as well as the effects that the sun will have on your fabrics. Whenever you clean your carpet or upholstery, always be gentle and take great care when cleaning out the stains. You don’t want to try and rub it out too hard, since this will spread the stain and cause more harm than good.